– A unique space for critical, broad, and experimental discussion on psychotherapy and counselling. The annual subscription includes two printed issues a year and includes complimentary online access from Ingenta Connect to current and past issues. 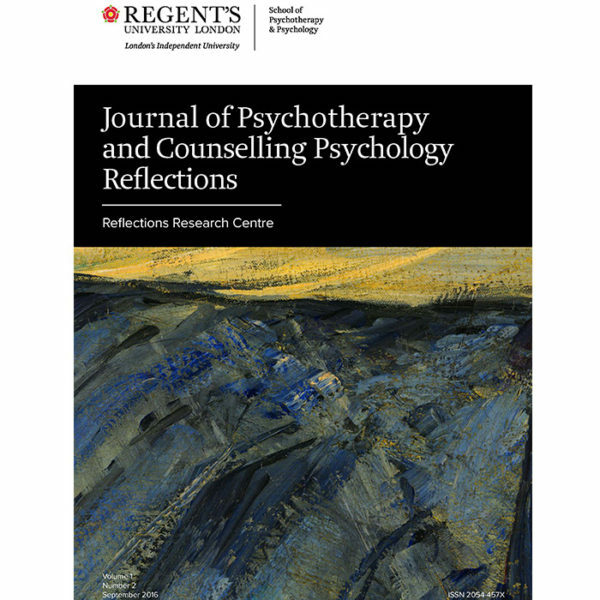 Journal of Psychological Therapies is an international peer-reviewed journal, underpinned by the aspiration for a non-doctrinaire, pluralistic attitude to psychotherapy and counselling psychology. It aims to provide a forum for open debate and encourages submissions from different traditions, epistemological positions and theoretical modalities enabling the development of a more open, reflective thinking to philosophy, theory and practice of psychotherapy and counselling psychology. 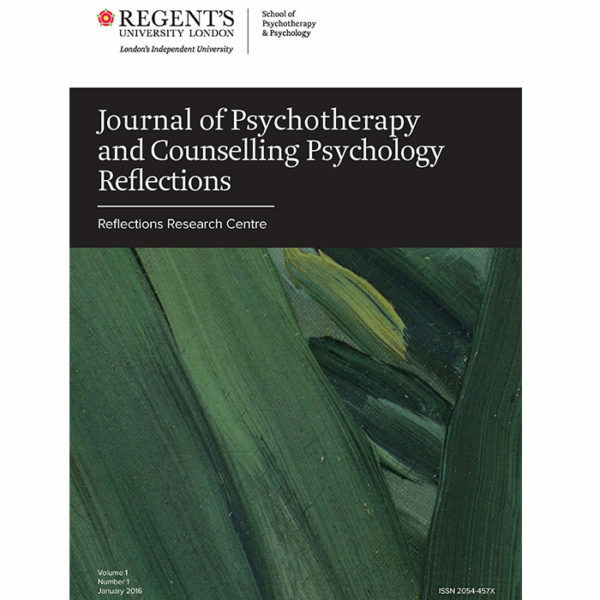 The Journal of Psychological Therapies encourages critical, broad and experimental interpositions in discussions on psychotherapy and counselling psychology. It tends to transcend the methodological and metatheoretical divisions. We welcome submissions using both quantitative and qualitative methods, including ethnographic, autobiographical, and single patient or organisational case studies. – In preparing your submission, please refer to the style guide below. – Please make sure your full contact details are visible on the outside of all documents you are sending to Editors. – Papers are accepted for consideration on condition that you will accept the following conditions. We ask authors to assign the rights of copyright in the manuscript they contribute. 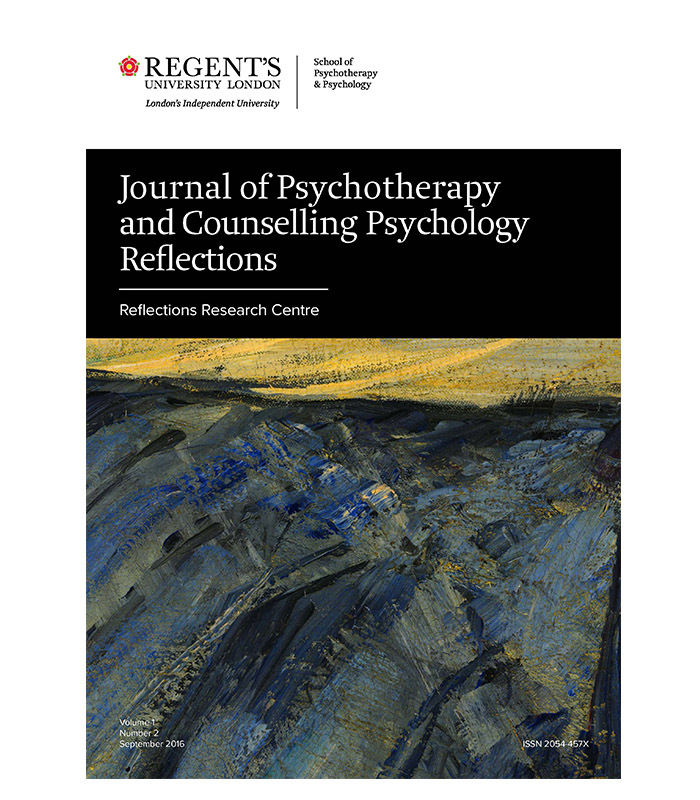 – We welcome submissions on any topic within psychotherapy and counselling psychology that considers the remit of the journal and that it is inclusive of the academic community at large. 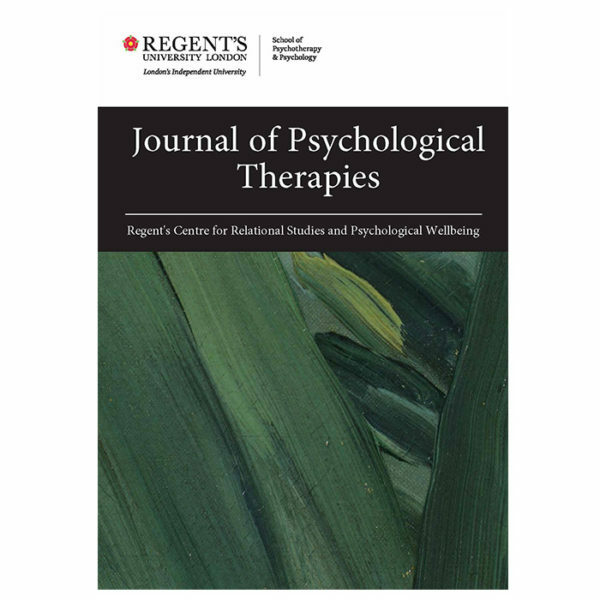 – Contributions to Journal of Psychological Therapies must report original research and will be subjected to review by referees at the discretion of the Editorial Office. – We welcome new or recent books which are relevant to the focus of the journal and which you consider would be useful to review for readers. – Journal policy prohibits an author from submitting the same manuscript for consideration by another journal and does not allow publication of a manuscript that has been published in whole or in part by another journal. Important note: Manuscripts must adhere to the ethical guidelines for both research and practice of UKCP, BPS, HCPC & BACP. – Language: Papers are accepted only in English. British English spelling and punctuation is preferred. Non-discriminatory language is mandatory. Sexist or racist terms must not be used. – Abstracts: Structured Abstracts of no more than 250 words are required for all papers submitted. Authors should supply three to six keywords. – Headings: Section headings should be concise. – Word count: A typical manuscript will be 1,500-2,500 words, including references. Longer contributions of 3,500-6,000 words, (27-30 double spaced pages including references) may be published where inclusion of data (e.g., excerpts from interviews) warrant it. Papers that greatly exceed this will be critically reviewed with respect to length. Authors should include a word count with their manuscript. The word count (which includes all text including the abstract, manuscript, notes, tables, figures, etc.) should appear at the end of the manuscript. – Font: All manuscripts must be typed in 12-point font in Arial and double-spaced throughout including the reference section, with wide (3 cm) margins. All pages must be numbered. – Please supply in a separate file information about your research interests/specialisations – up to five. Two separate manuscripts must be submitted. – The first version must be a complete version containing all the above together with confirmation in a separate file confirming that the manuscript is not under consideration or submitted to another journal. Use the following statement: I confirm that the manuscript submitted, title:…. is not under consideration or submitted to another journal. – The second version must be entitled ‘For blind review’ and must not contain the author(s)’ name(s) or contact details or any identifiable author(s) information (refer to APA guidelines). This will allow for the second version to be sent anonymously to reviewers. – All graphics must be supplied in their original format, either as digital artwork or statistical data. – Any graphics copied from the internet and cited from other publications are not acceptable on their own. – Graphics files must be supplied separately to text. Please do not embed graphics in the text file. – Figures should be numbered in the order in which they appear in the paper (e.g. figure 1, figure 2). In multi-part figures, each part should be clearly labelled (e.g. figure 1(a), figure 1(b)). – The filename for the graphic should be descriptive of the graphic, e.g. Figure1, Figure2a. – Avoid the use of colour and tints for purely aesthetic reasons. As an author, you are required to secure permission if you want to reproduce any figure, table, or extract from the text of another source. This applies to direct reproduction as well as “derivative reproduction” (where you have created a new figure or table which derives substantially from a copyrighted source). It is a condition of publication that authors assign copyright or license the publication rights in their manuscripts, including abstracts, to the Regent’s Centre for Relational Studies and Psychological Wellbeing of Regent’s University London. This enables us to ensure full copyright protection and to disseminate the manuscript, and of course the Journal, to the widest possible readership in print and electronic formats as appropriate. Authors are themselves responsible for obtaining permission to reproduce copyright material from other sources. Manuscripts will be copy-edited for journal house style. Authors will receive page proofs for checking. At this point, no substantial changes can be made to the paper. It is essential that proofs are checked and returned within 48 hours. Regent’s University London and the Editors make every effort to ensure the accuracy of all the information (the “Content”) contained in its publications. However, any views expressed in this publication are the views of the authors and are not the views of the Editors or of Regent’s University London. Responsibility for confidential material and consent obtained to use in publications is that of the authors.